While Ellie and Nick are still sick I've been able to get an hour to myself either during the day or after bedtime to de-stress. Yesterday my mother in law came over for an hour while I did a few necessary errands and I made a quick stop at Pier 1 to browse. Today my Mom took Ellie for an hour for a much needed break in which I treated myself to a manicure. Ellie still isn't herself and still only wants to be held. I think I'll be calling the Doctor again tomorrow if she hasn't shown any improvement. 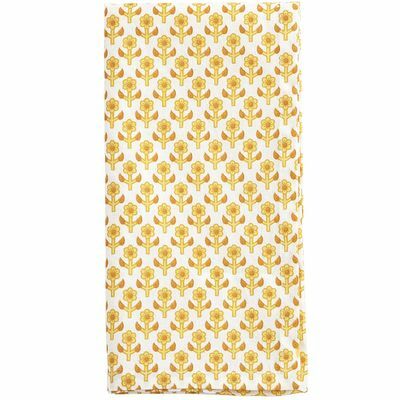 Anyway, there are a few items I am loving that are reminding me that spring is almost here, which also means these sicknesses will soon pass! 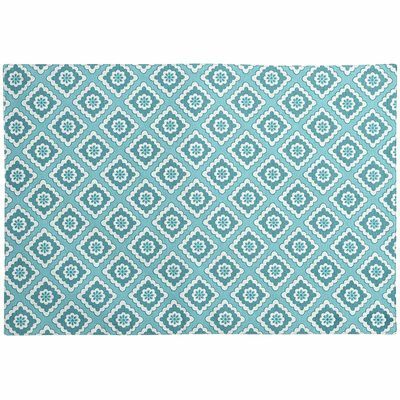 I saw these at Pier 1 last night and am loving the pattern! 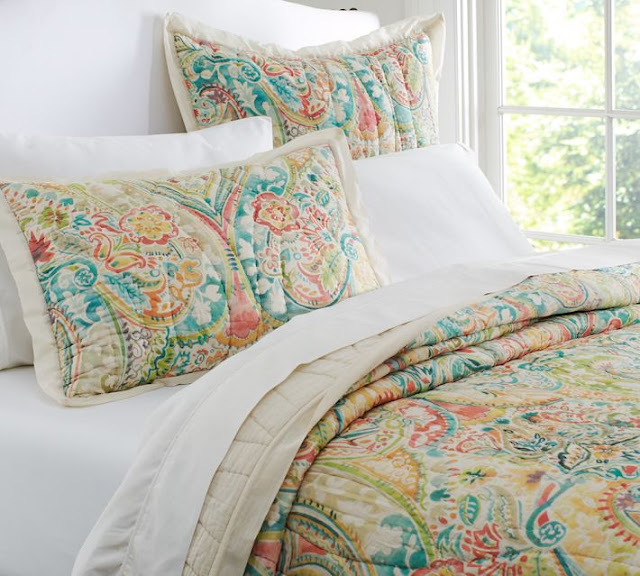 This bedding from Pottery Barn is so bright and cheery. I could see it in a girls bedroom or guest room. I had to add this squirrel doormat because Ellie would love it. She loves watching the squirrels chase each other in our backyard. She gets a kick out of it. 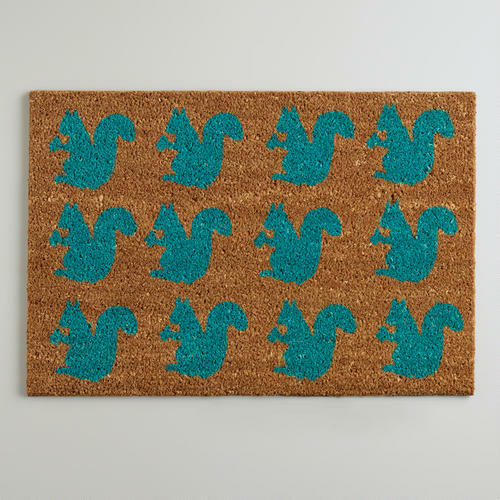 It is a pretty cool (and unexpected) front mat and I love the turquoise squirrels. 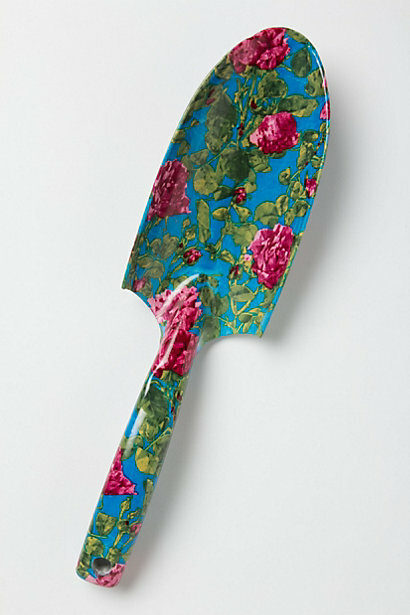 This floral fork and trowel actually makes me want to work in my garden. Usually my Mom will come work her magic in our garden (she is amazing), but with these pretty tools I would do some of the gardening myself this year. These tools would also make a nice housewarming gift! 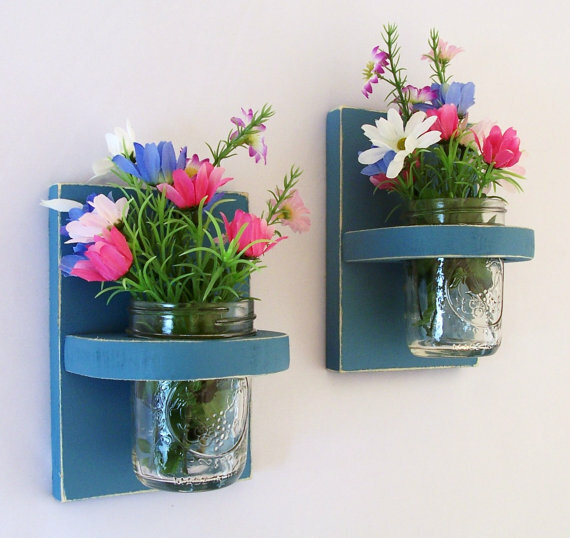 Lastly, I have been lusting over these vase sconces for a while now from Etsy. I love fresh flowers in the house and these are a just another pretty way to display them from my garden.